Home » NEWS » Advisory:ALL SAMSUNG NOTE 7 HOLDER ARE PROHIBITED TO CARRY IN ALL FLIGHT? MUST KNOW!!! Advisory:ALL SAMSUNG NOTE 7 HOLDER ARE PROHIBITED TO CARRY IN ALL FLIGHT? MUST KNOW!!! There is a new announcement made by the Department of Transportation of the United States. All passengers owned a Samsung Note 7 are prohibited to carry inside the plane, even if it is carry-on or check baggage of all local and international flights. This is effective October 15, 2016. 12:00 ET. The announcement made after the recalled of Samsung Company with their unit Samsung Note 7. This was also made because of some burnt or catching fire incident in some parts of the world, and until today Samsung had not yet announced if what is the root cause of the problem. 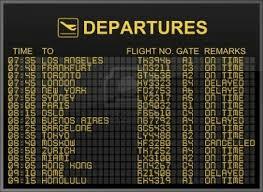 And So all international flights flying to all states of the United States must comply, as per announced by DOT. All international airlines company had already restricted all their passengers not carry the said unit or else their flights will be canceled or delay. Meanwhile, the China Airlines and EVA Air had already reprimanded their passengers of the new regulations. All bound to the United States must comply the notice or else the passenger cannot reach to their destinations. For some countries, there is no further notice with regards to this issue, or you may check your respective air buses. So that we can help others.